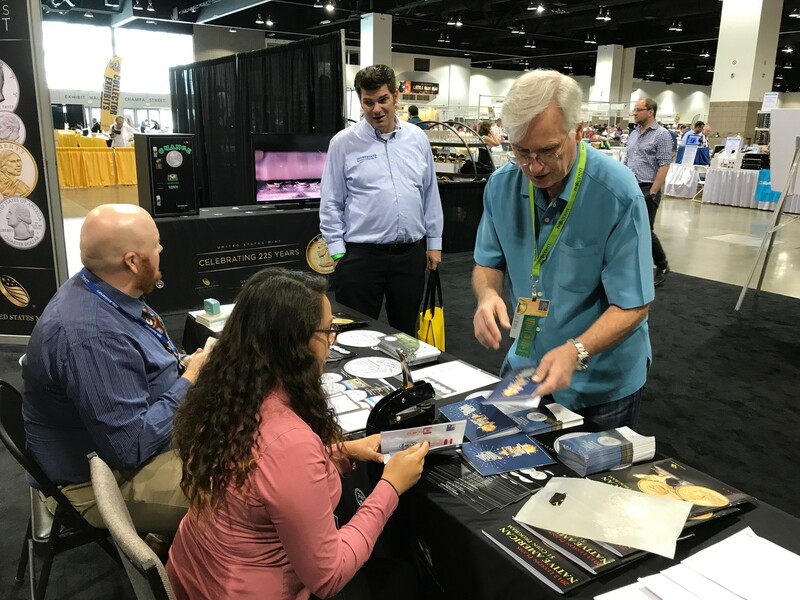 Members of the United States Mint Retail Team and Office of Corporate Communications, in addition to senior leaders, proudly represented the bureau at the American Numismatic Association’s World’s Fair of Money® Aug. 1 to Aug. 5 at the Colorado Convention Center. Mint Acting Deputy Director David Motl and Bureau of Engraving and Printing (BEP) Director Len Olijar opened the event in the Mile High city by participating in the official ribbon cutting ceremony. Following, both gentlemen walked over to booth #478—the Department of the Treasury booth shared by the Mint and BEP—on the bourse floor. There was another well-known individual hanging out at the booth as well—Mint Sculptor-Engraver Renata Gordon. 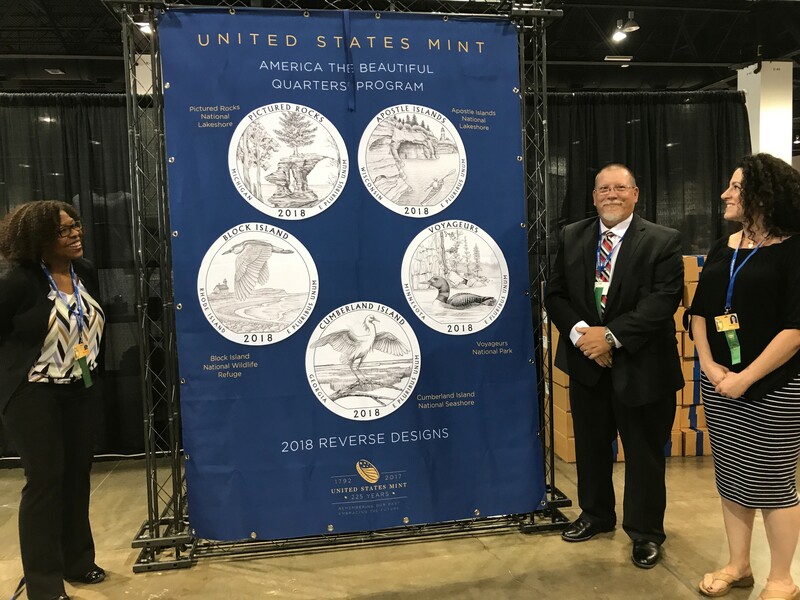 She, along with Mint Acting Deputy Director David Motl and Mint Senior Advisor Michele Satchell, unveiled the much-anticipated designs for the 2018 America the Beautiful Quarters® Program. 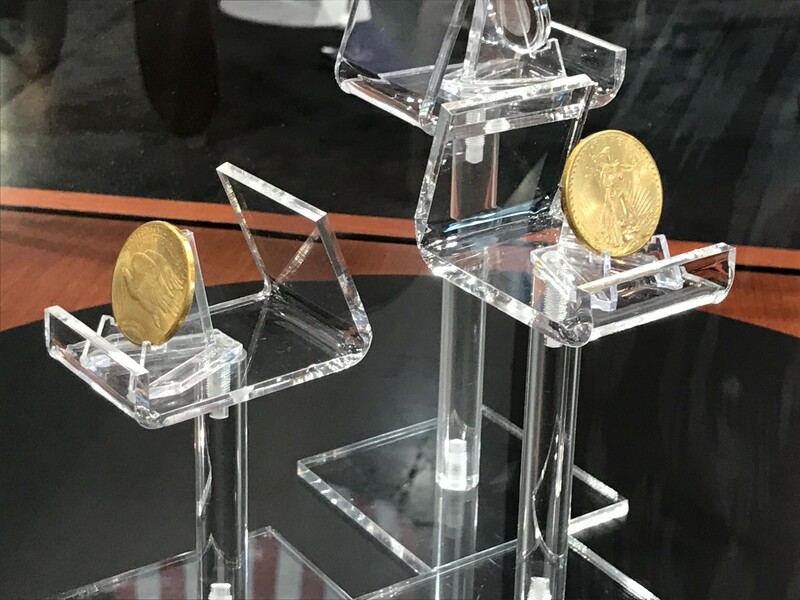 Probably the biggest attraction to the booth was the display of two of the ten “1933 Gold Double Eagles” that were the subject of 11 years of litigation (which was recently resolved in favor of the Government), and the “1974-D Aluminum Cent” recovered in 2016. 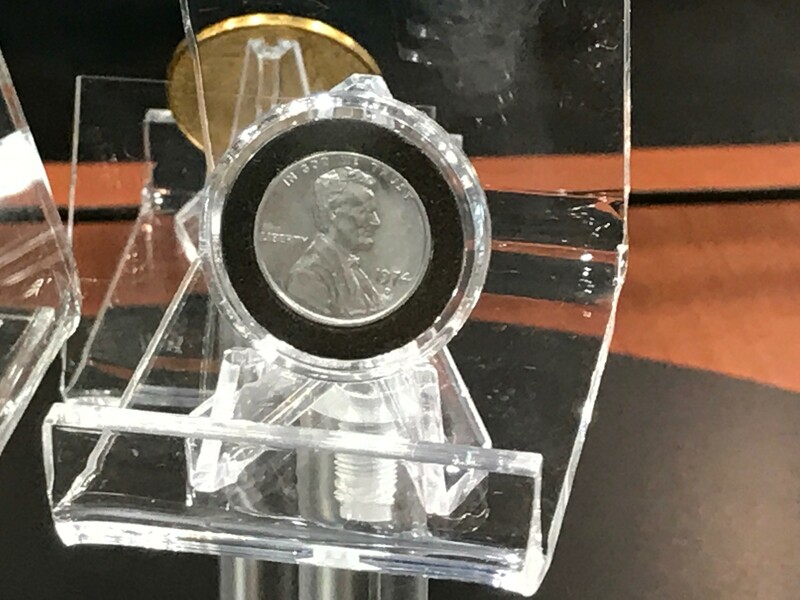 The coins are a part of the rich history of the Mint as it celebrates its 225th Anniversary. 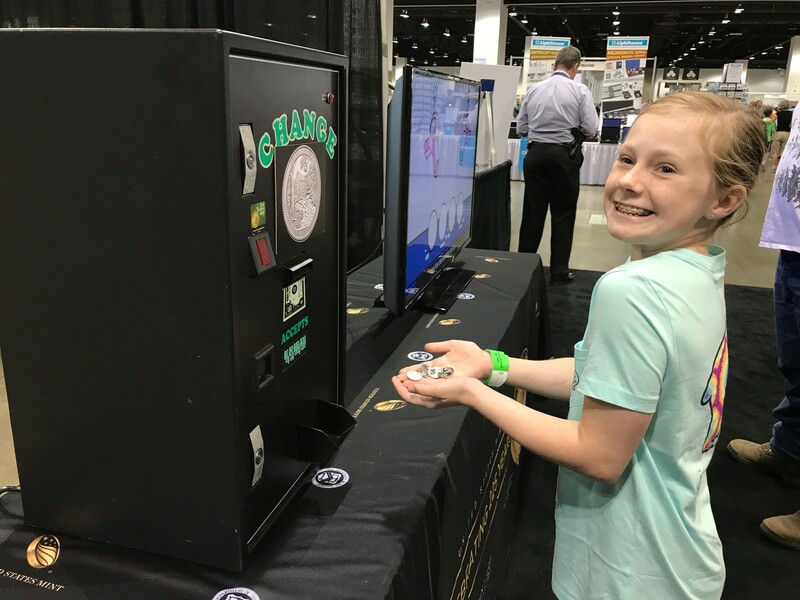 Mint activities for numismatists of all ages included looking for treasure on the bourse floor and watching videos on the coin-making process. 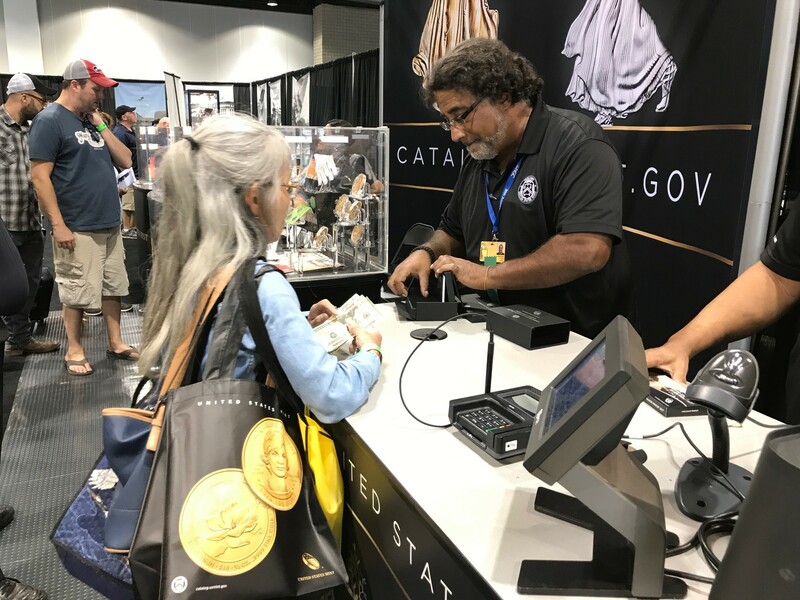 Additionally, attendees could exchange cash for the most recently released America the Beautiful Quarters® Program coin, and participate in the World Mints Passport Program—an exciting program in which visitors collect coins from participating mints around the world. The American Numismatic Association (ANA) was founded in October 1891. 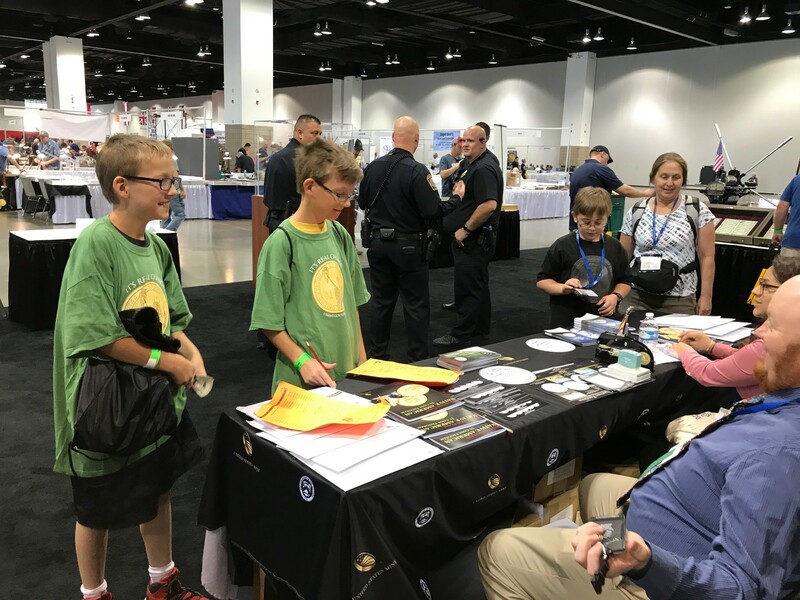 This year’s event is the 126th anniversary convention held by the organization; the fifth time it has been held in Denver.